NOCSSM is the oldest and most respected name in Church Security and reflects real world professional church security experience in some of the largest churches in America. Hundreds of churches have benefited from our training and resources. What resources does NOCSSM offer? This website is a TOOL KIT and collection of opinions, facts, systems, references, templates, plans, issues, policies, procedures, videos and methodologies. This website will save you time, money, property and perhaps the most important “lives” of the most important people. 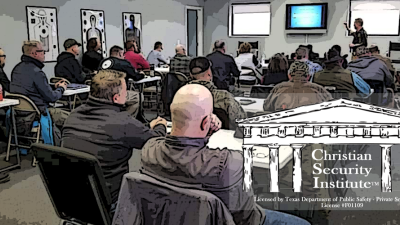 Whether you are new to the church security field or a veteran, you need a structured program. Without a structure, you are just hanging on by your fingertips. Handling each issue as it comes up, and then probably not doing the same thing twice. It would be like building a bridge without a plan. Without a plan, a structure might hold for a while, but it will gradually fall apart in different places and probably at the worst time, when someone is coming over it. When you already have an established program. When you just need a head start on a program. As a check list for confirmation of your own idea. To confirm, or deny your ideas. It is a mass of knowledge you may not have considered. It might give you an insight quickly that has taken others years to understand. This guide helps you cheat by not making you go through the mistakes others have. Use this guide as a template from which to start or reference. Templates can save you from spinning your wheels while trying to reinvent the wheel. Almost everything you will encounter has already been encountered. Use this as a guide to alert you to what the issues might be as you encounter situations or issues. This book is meant to be a working document from which to develop various safety and security policies and procedures.